Kia Joorabchian has been key in finalising Barcelona's sale of Marlon to West Ham. An agreement was made between all parties for €15m but there are still minor details which need to be ironed out before the deal goes though. The Brazilian spent last season on loan Nice, where he was supposed to stay for another season, after struggling to establish himself at Barcelona with the 'B' team. However his good performances in Ligue 1 didn't go unnoticed by Premier League teams so Barcelona decided to recall Marlon back early in order to sell him this summer. Marlon will leave a big gap in Nice's defence after playing 27 matches for them last season. The sale of the Brazilian centre back comes at the perfect time for Barcelona as they look to balance their accounts. The meeting with the Iranian middle man, Joorabchian, has helped move forward a deal which has been put on hold since the end of May. The fine performances of Samuel Umtiti has consolidated him as Gerard Pique's partner at the back. 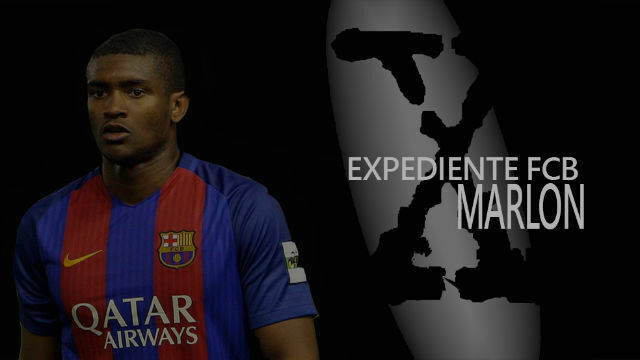 And the improvement of Thomas Vermaelen, when needed to fill in alongside either of those, has further justified Ernesto Valverde's decision to not give a place in the squad to Marlon. The 22 year old centre back couldn't find his place at Barcelona but this deal sees the club almost triple their money on Marlon. Two years ago Barcelona signed Marlon from Fluminense for €6m and they're about to earn €15m from his sale.